White grubs are the larval form of the scarab beetle, a diverse beetle family that is widespread on every continent except Antarctica. There are more than 1,500 scarab beetle species in North America, and many of these species thrive in Florida. Most scarabs lay their eggs 1 to 8 inches deep in the soil. The eggs hatch in about three weeks into larvae and begin to feed on the roots.The larvae take over three years to develop into adult beetles. During this life cycle the larvae migrate deeper into the soil during the cooler months where they remain inactive until spring when they return to the soil surface ready to feed again. Adult scarab beetles are typically not turf pests, but white grubs are some of the most destructive turfgrass pests in Florida. White grubs tunnel through the soil and feed on plant roots, leading to irregular patches of dead turf. The damaged grass wilts in the sun, and the effects are similar to drought damage. 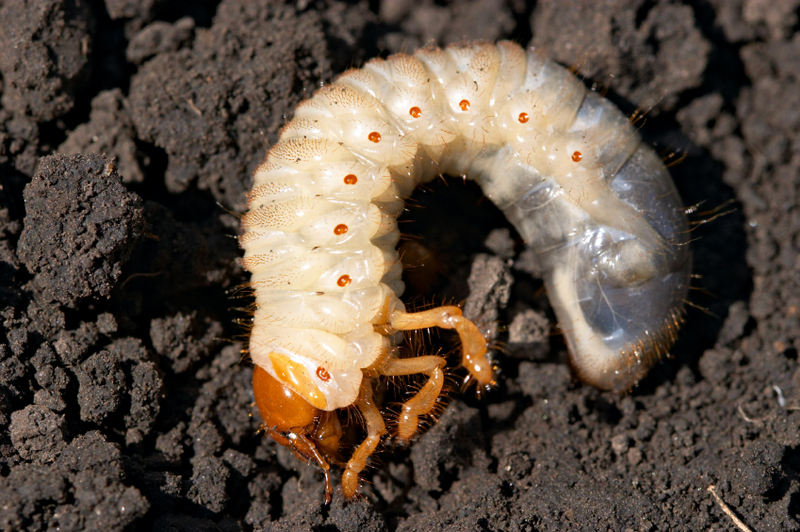 Aside from looking for the grubs themselves, the easiest way to spot a white grub infestation is to check your lawn for damage. White grub damage will make the grass brown, soft, patchy and spongy. The dead turf will be easy to lift, and you may be able to see grubs underneath. The presence of animals such as, birds, moles and armadillos may also be a sign of an infestation as these animals feed on grubs. Venice Pest Control has provided pest control services in Sarasota and Charlotte counties since 1974. Turf pests are one of our specialties. Contact us today for a free lawn evaluation.